In-Ground & Above Ground Swimming Pool Filters - Macomb Twp. 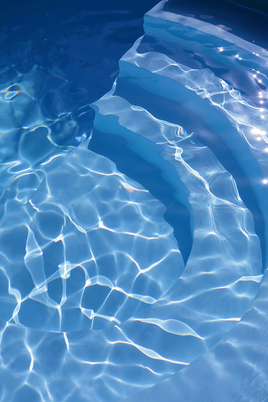 Keep your pool water clear, and all your swimmers comfortable. 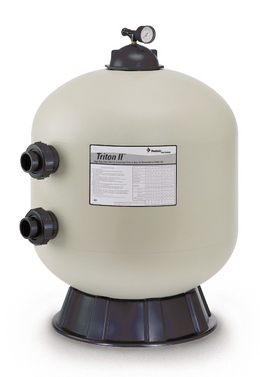 A pool's filter is essential for regular operation. We are glad to offer affordable and high-quality pool filters for your swimming pool or spa. We are currently selling filters produced by Pentair Water Pool and Spa®, the world leader in pool and spa equipment. 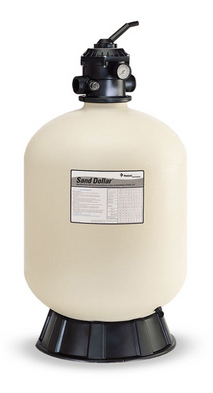 Sand filters are our filter of choice. They are easy to operate, and are effective at what they do. Sand filters work by passing your pool's water through a mass of sand, causing the dirt to be caught in between and on top of the sand as the water passes through. Once the filter accumulates enough dirt or debris, a pressure gauge on the outside of the tank can indicate when it is time to "backwash," or clean, the filter by flushing the dirt or debris out of the tank. New advancements in technology have provided sand filter owners an alternative media - Zeobrite®, which turns your sand filter into a super filter. See below. Please call us today at (586) 566-4600. Zeobrite® is a newer filter media, designed for sand filters. It replaces the sand in your filter to offer much more efficient filtration. Conventional pool filter sand can filter down to a particle size of about 20 microns. Zeobrite® can filter down to about 3 microns - An important difference when it comes to clean-up time in the Spring, and water clarity throughout the Summer. We would be happy to discuss any questions you have about this product.